Cellino & Barnes is currently evaluating cases of injury due to defective Smith & Nephew knee replacement devices. In September 2003, Smith & Nephew issued a recall of its Oxinium Genesis II and Profix II Knee Systems, after a product defect was discovered. The recall concerns the design and function of these knee implants in the United States. It is reported that the macrotexturing surface fails to provide proper bonding to the bone, which may lead to increased pain and loosening of the knee joints. 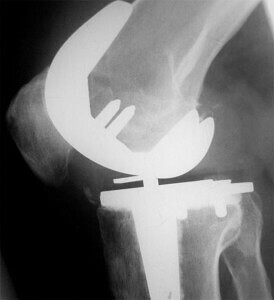 As of February 2005, approximately 782 cases of the Oxinium knee implants required revision surgery. If you or a loved one has a defective Oxinium knee implant, call Cellino & Barnes now at (800) 888-8888 or contact us online.